As the World Cup draws to a close, we are all filled with a little tinge of regret but also happy to have seen the adidas Nemeziz 18+ in action on the feet of quite a few of our fave players! This is the perfect time for us to take a look at one of the latest additions to the adidas football boot family, the adidas Nemeziz 18+. 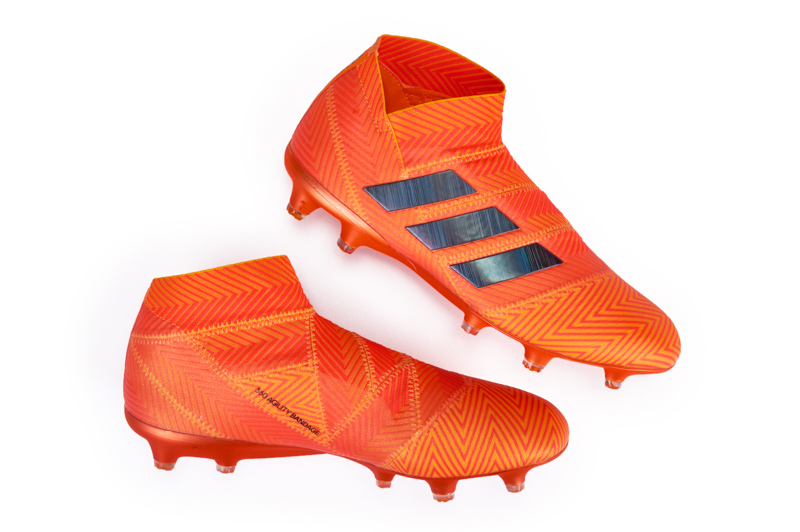 The new look collar, the bright orange-red upper, and big time players wearing the boot, these all add to immediately making this new boot an attention grabber. But how will it perform when put to out testing here at SP? Well, in short, adidas have created a real winner here. 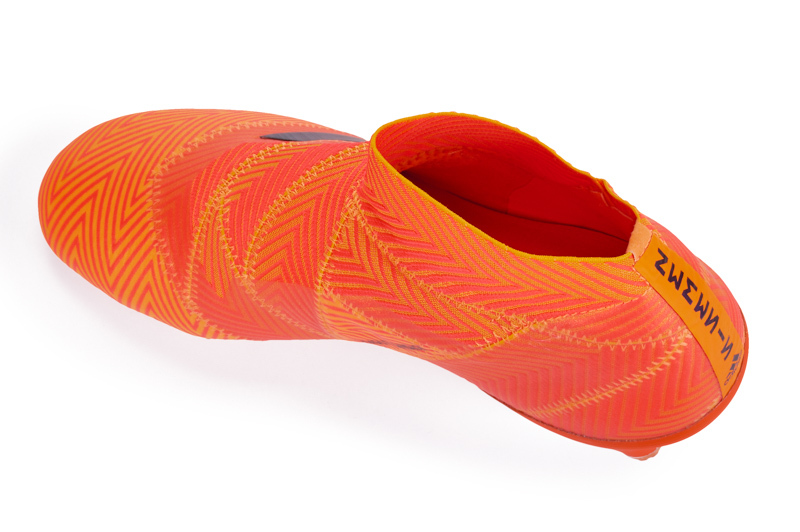 In another bright, attention catching, World Cup colorway (the pack name is Energy Mode and this shoe deserves that name 100%), the Nemeziz is Zest, Black, and Solar Red in colorway, which translates to a bright Orange, black branding, and a bright red to add to the hot summer sun vibes. 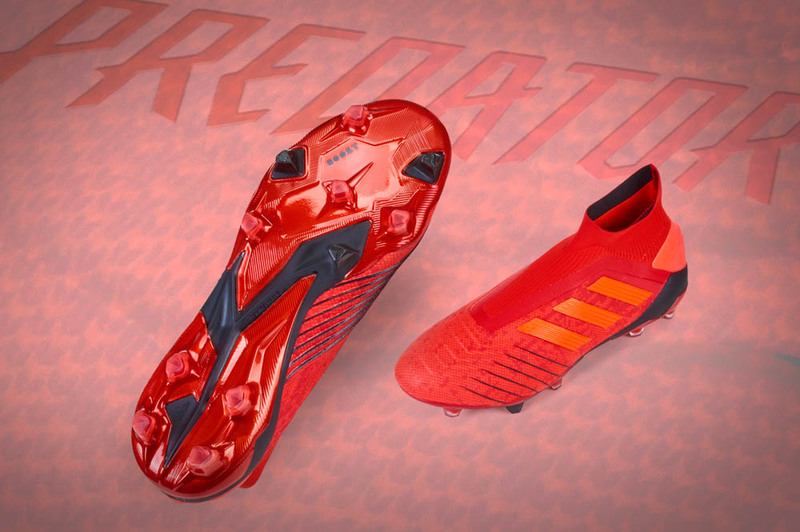 Overall, the cleat looks like a high tech boot with all the bells and whistles that adidas markets like crazy. The collar may look a little crazy, but it’s surprisingly a solid new addition to the updated silo. As with most laceless boots on the market, it is easy to be skeptical about how comfortable the boot will be however I was pleasantly surprised by how comfortable the Nemeziz 18+ was straight out of the box. The boot uses the medical bandage style wrapping to tightly wrap around your foot to give a one to one feeling between your foot and the ball. The last (upper) of the boot is not very wide, however I had no issues fitting into the boot and have not had any issue in terms of comfort during my testing period and beyond. Getting into the nitty gritty of the Nemeziz 18+, it is easy to start at the top with the collar. The collar is a new look in the collared boots community with the instep of the boot featuring a higher cut than the outside of the ankle, which dips below the ankle. It doesn’t really add to performance at all in my opinion, but it is comfortable and doesn’t have any sort of odd rubbing. The 360 Agility Bandage wraps around the entire boot with some parts reinforced with a layer on top of it to prevent and tearing or durability issues. 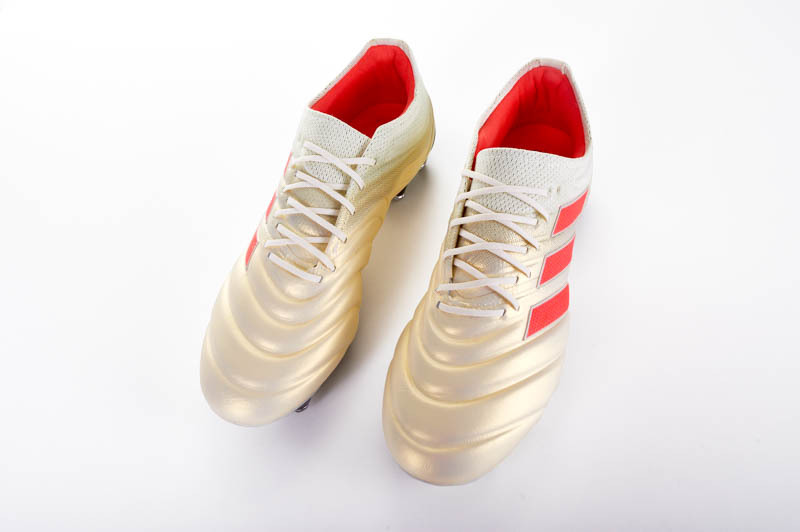 The toebox has a new and improved softer upper, which offers that wonderful mix of a speed boot and control boot feel on the ball. 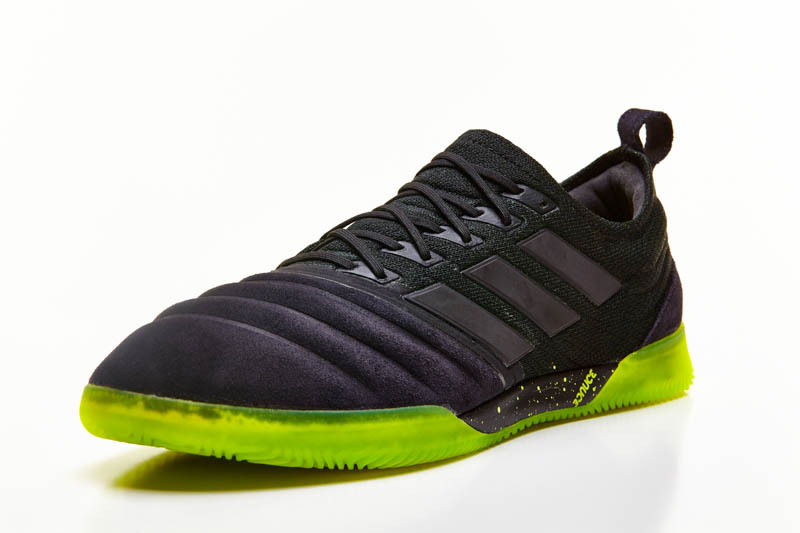 The adidas Nemeziz slots perfectly to fill a role in the soccer shoe market segment for players who want a bit of extra protection while staying light. Those players can now find that dream boot in the Nemeziz 18+. The upper allows for some cushioning while remaining relatively thin, which feels incredible on foot. There is enough cushion to make hitting the ball with venom nothing to fear with the sting you would normally get. The upper is massively improved from last year’s model, which I still enjoyed so it is a testament to adidas making a worthy successor to the first generation. 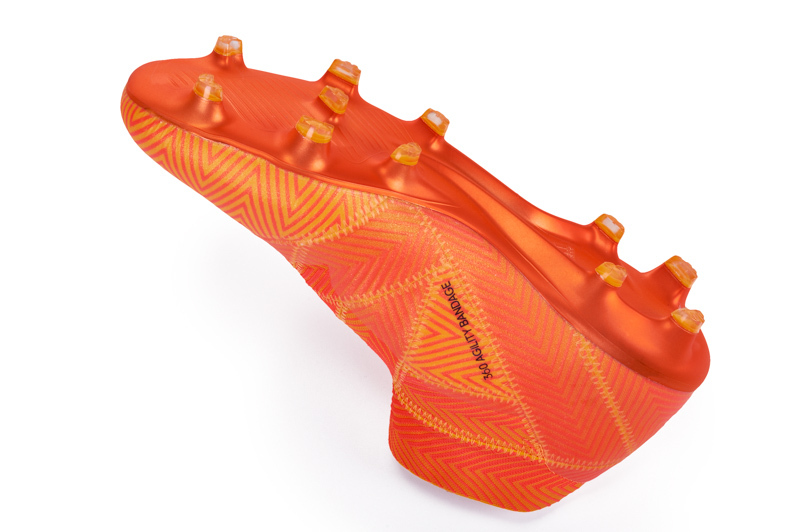 The Torsionframe outsole is fairly stiff, but it can give that extra push off when starting a sprint down the field. 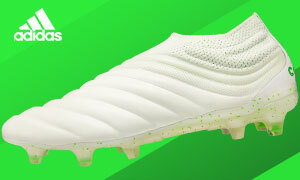 It is fairly forgiving for wider feet, which is a nice surprise to see from a boot marketed for attacking and creative players. The half moon shaped studs offer a nice mixture of circular and bladed studs while remaining comfortable and light. 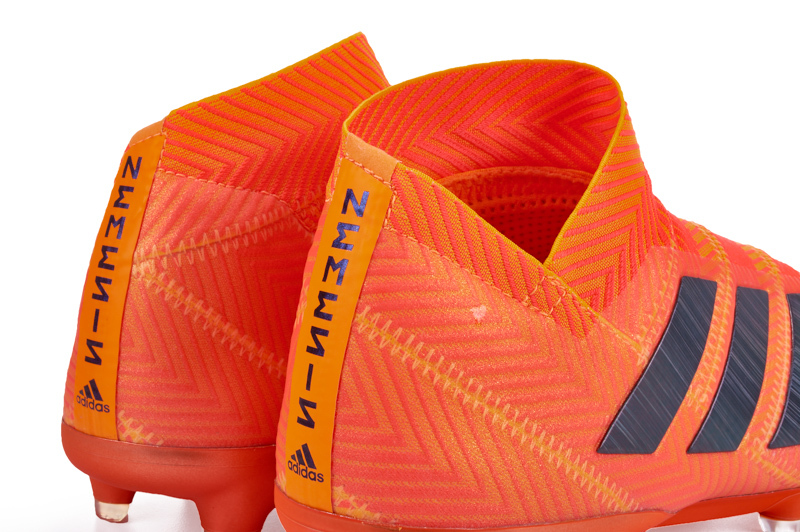 In a boot world dominated by the fascination with laceless options and collars on almost everything now, the Nemeziz 18+ is making all of the right impressions to set it self near the top of the food (Boot) chain. The king himself Leo Messi is the headlining athlete for the Nemeziz line, but he prefers the custom 18.1 option with laces. Bernardo Silva of Manchester City loves his laceless Nemeziz 18+ and will be creating chances all season long with the help of his trusty adidas boots. Roberto Firmino is another athlete who you’ve seen dashing thru the Mundial in these shoes. Other notables have been France’s Thomas Lemar and Peru’s Andre Carrillo. The Nemeziz line has changed a lot since it was first introduced to the world last summer. The biggest difference with this shoe is the softer upper that helps a ton in terms of making this top contender for boot of the year already. The collar is a bit weird to get on at first however it becomes gradually easier to pull on with more practice, much like the first few times for most people trying on dynamic fit collars. Overall, the Nemeziz 18+ is a huge upgrade from the previous generation.